“How do I know if a girl is more like Ms. Pacman or Frogger when it comes to her adventurousness?” asks a caller from the first show of Love Bent and Adventure Bound, the newest show on the online community radio station Kinetic HiFi (www.KineticHiFi.com). And that is why we are engaging in this medium. 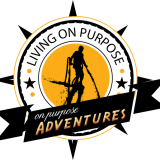 Billed as “an exploration in dating and living on purpose”, we aim to directly interact with listeners, fans, hopeless romantics and adventure junkies. Online radio, especially local radio gives listeners options and can provide a great source of entertainment. We invite you on this journey with us. TuneIn Mondays from 8-10pm at www.KineticHiFi.com or via the TuneIn app. It is a call-in show, so don’t hesitate to dial (843)225-8292.